If there is one age that I patiently waited for my kids to reach, it was 3-4 years old, the preschool years. 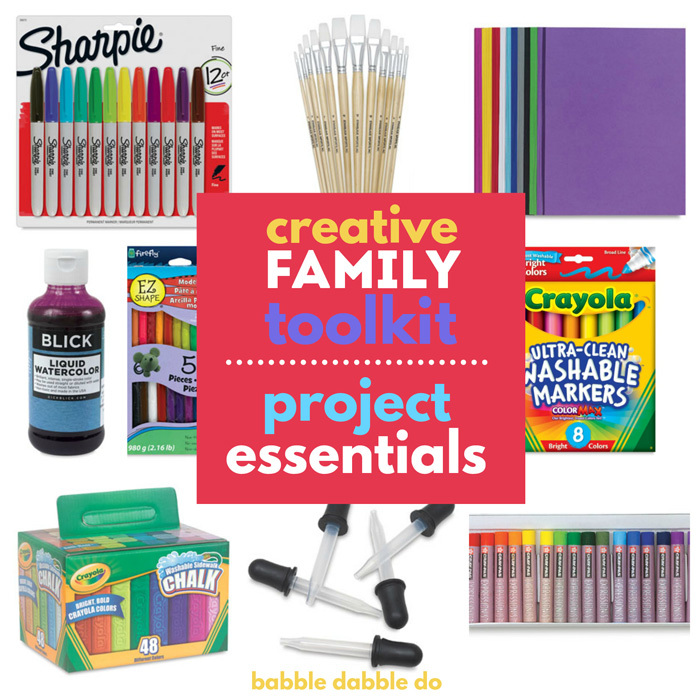 If you are a creative type, you probably are also excited about these years because it’s the age kids can really start trying projects, particularly ART. Engaging art at this age sets the stage for a lifetime love of creativity, in fact I believe the best preschool art projects are the foundation for creative thinking, exploration and problem solving. I urge anyone working with kids this age whether they are your own or those you teach or care for to make sure that when choosing art projects for 3-4 year olds you select ideas that are open-ended with plenty of opportunities to explore. 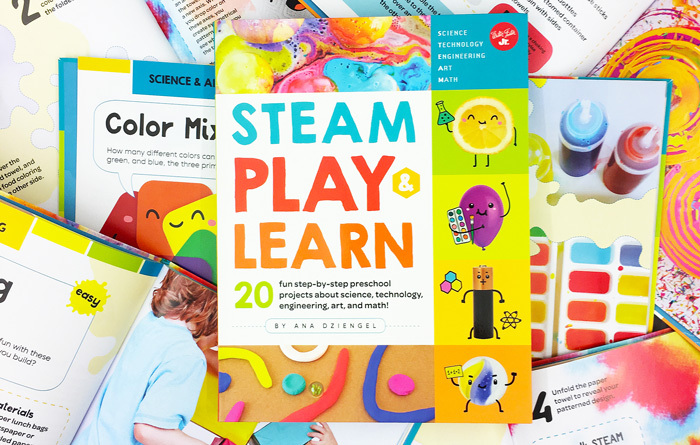 What you really want to foster at this age is a love of play and creating, avoid projects with complicated steps or things that are too crafty, instead try process art, and art projects with a science twist to make them even more magical. Embrace the mess. The best way to be able to embrace messes is to plan for it. Cover work surfaces in butcher paper or take really messy ideas outside. No one will enjoy a project if you are stressed about the mess which at this age is inevitable and should be a welcome part of the exploration. Step Back. Adults should set up the projects and facilitate them as needed but please take step back and let the children explore on their own. Let them take chances and play with the materials at hand. In fact doing this often yields off-shoot projects that are just as fun! Keep it short! Preschool aged children are like whirlwinds of energy and interests. Don’t expect them to sit still for long so choose projects that can be accomplished quickly. Some of these projects are best suited for older preschoolers because they involve more advanced fine motor skill development; I have noted them Pre-K.
A great introduction to process art, gather up an old sheet, paint and rollers plus some textured items and stencils and have fun! This super simple project doubles as a lesson in color mixing and absorption. I cannot tell you how worth the prep and mess this is! My whole family had a blast with it! (Pre-K) A fun use for dyed pasta- turn them into colorful suncatchers. The next time a large branch falls in your yard, save it! This is a wonderful group art project and lasts for years if you use acrylic paint (just be sure to wear smocks or messy clothes as acrylic permanently stains clothes). You can substitute washable paint for a non-permanent version. Paint your patio! Or the driveway! This will work on concrete as well and washes off in a few good rains. (Pre-K) Totally irresistible… Adults will need to prep the tops, but kids can help mix the paint and spin the tops for some crazy spin art fun! (Pre-K) My daughter invented this project! You can do this in groups by spreading a thin layer of salt on the bottom of a tray. Spray a layer of shaving cream on the bottom of a tray. Add drops of food coloring on top. Use a craft stick to gently swirl the food coloring into the shaving cream. Press a blank piece of paper into the shaving cream. Remove to a work surface. With the edge of a credit card, scrape the shaving cream off the paper. Let dry. You can repeat this with more paper and keep adding in food coloring as needed. This produces a massive amount of art very quickly! I love how it encourages children to think about creative ways to make art. (Pre-K) Using oil pastels makes this easier to apply the two layers of color. This is fun for all ages! You will also need squeeze bottles filled with a mixture of vinegar and water. SAFTEY NOTE: Vinegar can sting the skin so be sure to let your children know to only squeeze the vinegar/water onto the chalk. We placed an old white sheet on a table and the kids dissolved the ice chalk using a mixture of water and vinegar. Bonus: When everything is melted the chalk turns into oobleck! (Pre-K) To make this easier to prep, substitute inexpensive air dry clay for the wood blocks. (Pre-K) A great way to develop fine motor skills. WARNING: You’ll probably start hoarding styrofoam trays just for their awesome textures after this…. Not only are these three paints taste safe, kids can help make them. The pudding paint makes a wonderful homemade finger paint! 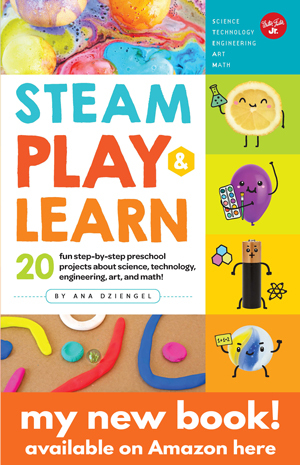 A great STEAM project for preschoolers that asks them to problem solve. Set out some clothespins and assorted materials and ask them to make and paint with homemade brushes. Check out some of the fun materials we tried here. Sidewalk chalk on black canvas. A wonderful alternative to the typical blank white canvas. (Pre-K) A simple introduction to sewing using shoelaces and burlap. One of our favorite ways to explore color mixing! Squeeze the primary colors onto a coffee filter, spin them in an old salad spinner and BAM you have new colors! 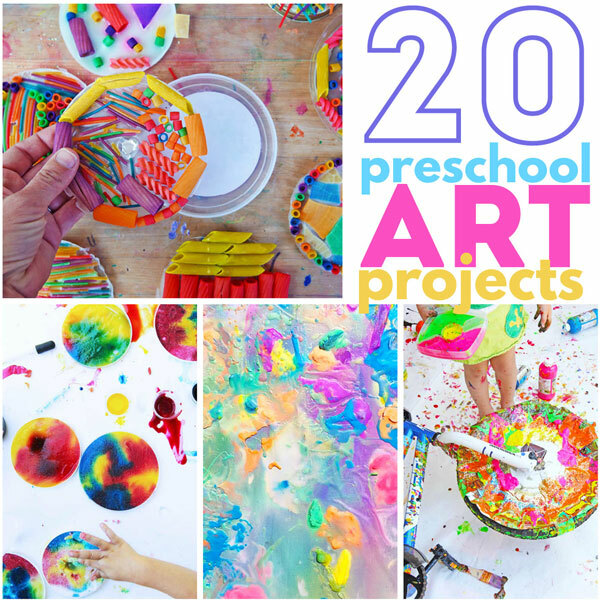 I hope this list of preschool art projects gets your children interested in creative exploration. You have been waiting for this age, time to start making! And don’t be dismayed if your kids aren’t interested in a particular project, it doesn’t mean they don’t enjoy art. 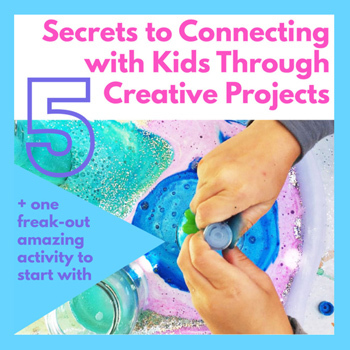 In fact join the Babble Dabble Do community and I’ll send you 5 secrets to connecting with kids through creative projects.